With robust weatherproof and vandal resist casing, this indoor/outdoor camera is ideal for your surveillance applications and it will work in snow, rain, dust and even hurricanes. 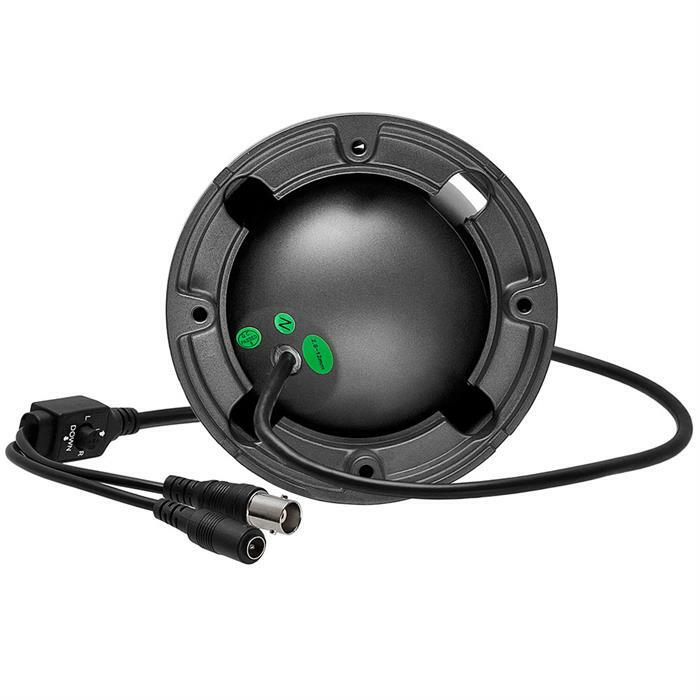 This infrared color camera works on day and night and it will do automatically switch to black and white picture at night. It provides you with the clear high resolution image. 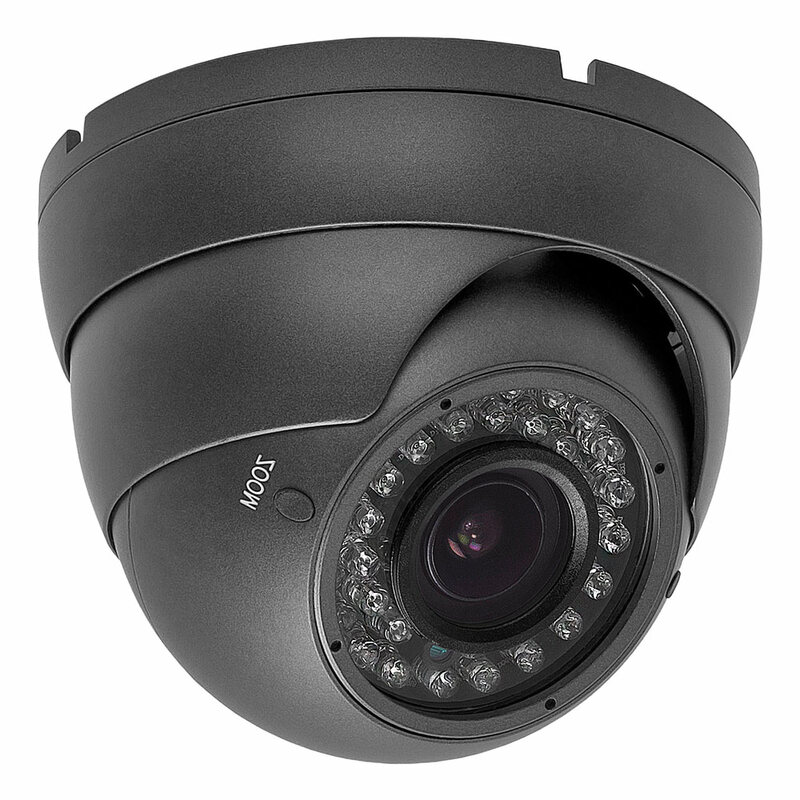 Equipped with 36 infra-red LEDs, this camera will make any objects visible up to 100FT. The camera easily connects to your TV, VCR or security monitor for the protection of your home, office or other valuables. Resolution: 1000 TV Lines 2.8 - 12 mm Wide Angle ZOOM Lens. Power Supply: DC 12V, 500mA Min. (1A Recommended) but NOT INCLUDED. 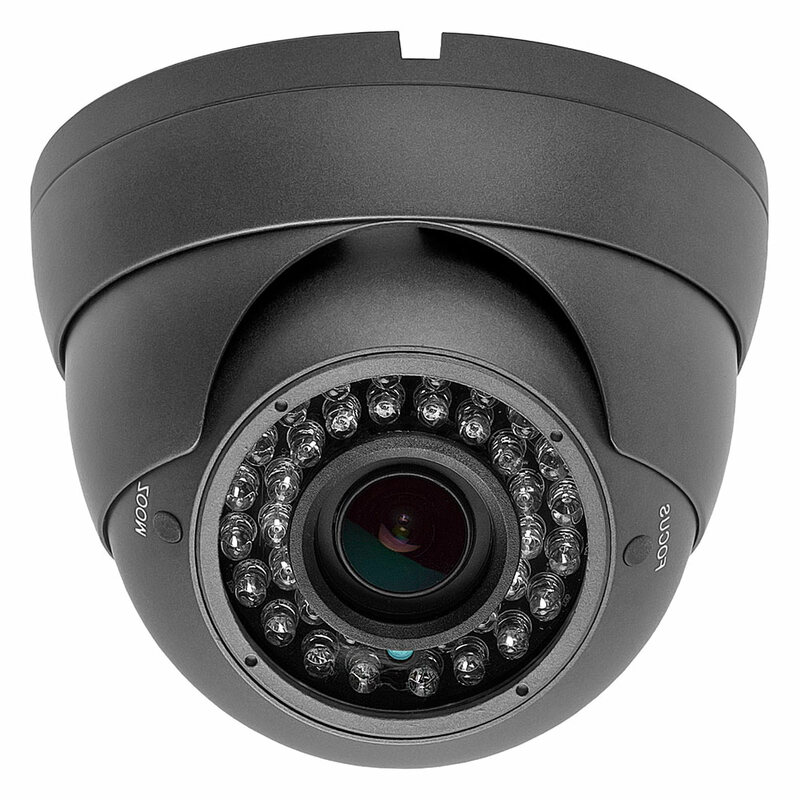 Image Sensor: 1/3" SONY High Resolution CCD. Features: OSD (On Screen Display) for easy installation.